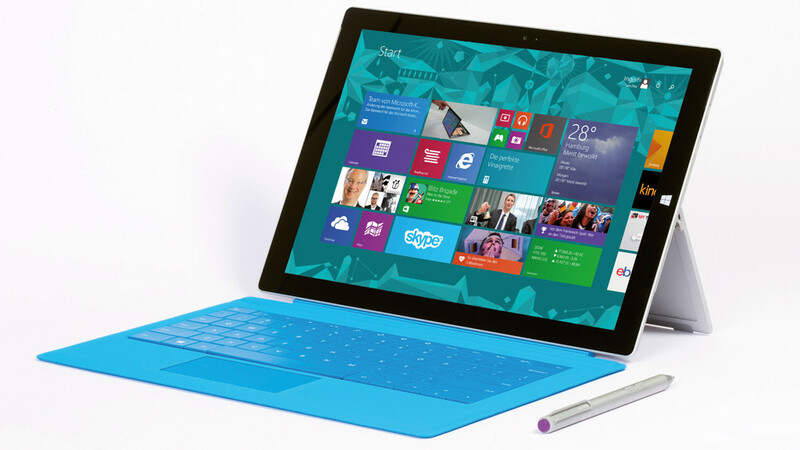 Home Reviews Microsoft Surface Pro 3 – What Can An $800 Tablet Offer? 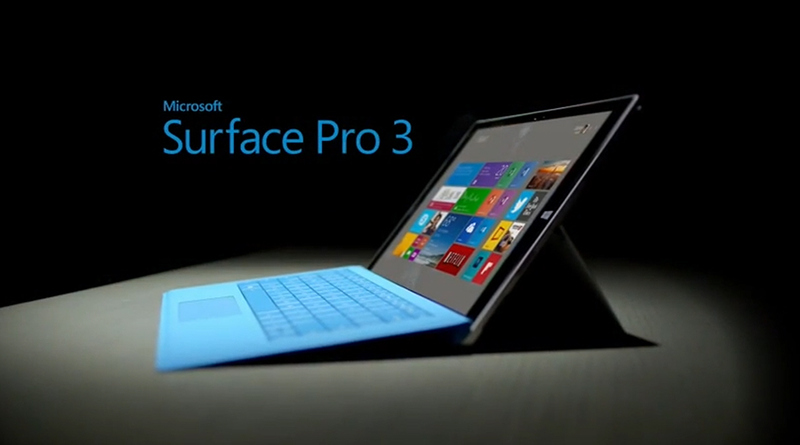 Microsoft Surface Pro 3 – What Can An $800 Tablet Offer? Microsoft has proven that the company isn’t afraid to make experiments. And if until a few years ago, Microsoft was focused mostly on improving its software, Windows, lately, the corporation started making acquisitions, such as Nokia’s devices and services division, which means that all the smartphones that are now released are branded “Microsoft”. In parallel, Microsoft has been working on two lines of Surface tablets which can easily replace laptops, and the Pro 3 is the ultimate technology innovation. Let’s take a look at this tablet that can be converted into a laptop by adding a physical keyboard and a mouse. Compared to the previous Surface Pro 2 model, this tablet has taken a giant step and suffered a big change in terms of dimensions. So, if the second generation Surface Pro came with a smaller 10.6inches screen that supported 1920 x 1080 pixels (207ppi), Microsoft upped the screen size to 12inches and increased also the resolution to 2160 x 1440 pixels (216ppi). Besides the 16:9 aspect ration from the Surface Pro 2 was replaced with 3:2 aspect ratio, to be able to show more content on Surface Pro 3’s screen. This represented a great achievement, because the Surface Pro 3 became a better choice than Apple’s MacBook Air’s 13.3inch model, which supports 16:10 aspect ration. The exterior of the Surface Pro 3 is made of silver-colored magnesium and it feels smooth to the touch, being, without a doubt, a premium device which became thinner (from 13.5mm to 9.1mm) and lighter (from 900 grams to 798 grams). The shape is still trapezoidal, but the upper half has some vents on the edges, to allow hot air to go out through the fan. Also, the home button was moved to the left side and the two 720p HD cameras from the front and back sides were replaced with more advanced cameras of 5MP, which can record videos at 1080p. For video calling, the front camera should work just fine, but don’t expect to obtain high quality photos. The new keyboard that can be attached to the Surface Pro 3 was redesigned from scratch and now, it’s enhanced with magnetic stability, it’s ultrathin at 5mm, it has mechanical keys for rapid typing, backlit keys and function keys (F1-F12), Windows shortcut keys etc. Also, the type cover can be considered a protector for the screen and there are five color options you can choose from: purple, blue, red, cyan and black. However, you will have to buy it separately, from Microsoft’s website, where it costs $130. Another accessory for your Surface Pro 3 tablet is the Surface Pen, which was improved to offer a better writing experience. It has an aluminum finish and it’s powered by N-trig. Currently, there are six variants of the Surface Pro 3 which are sold on the Microsoft store and all of them feature a dual core Intel Haswell processor. The cheapest model costs $799 and it comes with these hardware configurations: Intel i3-4020Y clocked at 1.5 GHz (3 MB cache), HD 4200 graphics, 4GB of LPDDR3 1600 MHz RAM and 64GB of internal storage. The next model is priced at $999 and it’s powered by an Intel i5-4300U processor clocked at 1.9 GHz, but which can be boosted up to 2.9 GHz (3 MB cache), and which has HD 4400 graphics, 4GB of LPDDR3 1600 MHz RAM and 128GB of internal storage. The third model costs $1,299 and here’s what you’ll get: an Intel i5-4300U processor clocked at 1.9 GHz, but you can boost the clock speed up to 2.9 GHz (3 MB cache). The graphics are HD 4400, but the RAM capacity is double and the internal storage has a capacity of 256GB. On the fourth model you’ll pay $1,299, but you’ll get an Intel i7-4650U processor clocked at 1.7 GHz, but which can increase up to 3.3 GHz, and has 4 MB cache, 8 GB of LPDDR3 1600 MHz RAM and 128GB of internal memory. The fifth variant costs $1,549 and has the same internal configuration as the previous model, but its internal memory is higher at 256GB and lastly, the most expensive slate is priced at $1,949, but it has 512GB of storage. If you’re an American student, you will get a $150 discount for the cheaper i3 model and $195 for the higher-end i7 variant. The Surface Pro Pen costs around $50, likewise the Wedge Touch Mouse, while the Arc Touch Mouse is $20 dollars more expensive. The Surface Pro is powered by a built-in rechargeable 42 Wh (150 kJ) lithium-ion battery which, according to PCMark 8, it lasts 2 hours and 38 minutes under normal use. But, if you open multiple Google Chrome tabs, use Spotify to stream audio, run TweetDeck and HipChat, while the brightness level is set to the maximum, your tablet will last around 4 hours. Currently, the tablet runs on Windows 8.1 Pro 64-bit, but as soon as the Windows 10 will be officially released, the users will be able to upgrade for free.